I'm hosting our Create Craft Club meeting in August when we will be trying our hand at glass etching, but I thought it sounded like too much fun to wait until then! I made this for my friend who is getting married soon. What bride doesn't love getting a piece showing off her new initial? The first step is rough cutting the contact paper. Be sure to cut a piece that is at least one inch larger than your design on all sides. Then adhere the contact paper to the outside of your clean glassware. The contact paper will soon become your stencil. Make sure you press out all of the bubbles. Next adhere your computer printout design to the other side (inside) of the glass, but facing out towards the contact paper. With a sharp Exacto knife, trace the outline of your design into the contact paper. Be sure to press firmly enough to cut all the way through the contact paper. Remove the contact paper from the inside of your traced design, exposing the glass. Dump a ton of the Armour Etching Cream on to your stencil and spread it out like icing in a thin layer. Be extra careful not to let any of it spill out over the contact paper. Leave the cream on for 10 minutes then wipe it off with your brush back into the jar (I've found that you can reuse this stuff. Which is awesome considering that it's a little pricy.) Reapply the cream and leave it on for another 10 minutes then scrape it off back into the jar. Finally, rinse your project in a stainless steel sink or with the hose outside, but not in a porcelain sink because it can dull the finish. Remove your stencil and rinse again. If you would like to do a Pyrex dish, I would recommend the Anchor brand dish, because the Pyrex brand has a big stamped logo on the back. The Anchor brand logo is a little smaller. -This is an additional tutorial I've done about glass etching using a Cricut machine. -This is the post from our August Create Meeting (when we did glass etching) with lots of additional pictures of our group's projects. SO EXCITING! I'm ALL about this -and can't wait to find a piece of glass to etch!! :) Thank you!! Really great tutorial! I've seen these, and been wondering how to do them. That looks really beautiful! Good extra tips too, about re-using the acid and reversing the letters on the bottom of a pan. Can I ask a question? Where did you get your armour etching stuff? Can't wait to make this! This is really cool...do you know if you can do etching on a mirror? Kate, I got the Armour etching cream at Michaels. It was a little hard to find in the store, just ask somebody. Emily, I'm sure a mirror would look awesome! You would have to modify the process a little bit...if you use clear contact paper, you might be able to leave the backing on and put it on top your computer printed design then trace the design on to the contact paper with a sharpie, then remove the backing and adhere the contact paper. After that, cut out your design with the Exacto knife. I want to see a picture when you're done! I'll bet it will look so good! I have been wanting to try this, may be I will get around to it now that I have some directions to follow! You rock, I've been looking for detailed info on how to do this for years! Everything I found wasn't fully outlined enough for my challenged brain! Now I'm going to have lots of fun! Thanks! I love this! Thanks for the step by step pics. 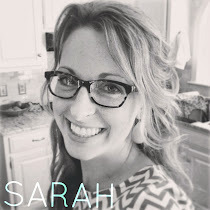 Beautiful Sarah! I am going to do this one of these days! oh wow! That's fabulous! I'm adding it to me list of things I hope to get around to! LOL Great gift idea! I seriously did not even know you could do this. wow, cool. This is such a great tutorial! I've had etching cream in a basket just waiting to learn better how to use it. I guess this will be my impetus to finally use it :). This is a fabulous tutorial-thanks so much. I love the trifle bowl, it looks so elegant. Thank you! This tutorial was fantastic! on a side note, if you sign up for michael's emails online, you get coupons for 40% off quite often! so if you don't want to pay full price, this is a great way to go! great tutorial and great ideas! i can't wait to try this. a million thanks! What an awesome project! I have a question though-would using this on pyrex on any other baking dish not possible compromise the sturdiness of the glass? I have known of a few instances where 'shatterproof' glass baking dishes have shattered and it seems like using anything to affect the glass, no matter how shallow the etch is, could make it weaker and therefore possibly more dangerous. I think it's a wonderful idea on most anything else, but I would think twice before using it on a baking dish. I'm so in love with this that I just had to link to it on my blog. I am having a monogram craft challenge on Thursday and for some inspiration, I looked for great monogram projects around blog land to share with my readers before the challenge. I've been holding onto this great tutorial for awhile since I saw it on Tip Junkie (and One Pretty Thing), so I just had to share! I hope that is OK! Come on by Thursday to see what others have created for the monogram craft challenge, or if you have any other monogrammed crafts you would like to share, come on by to link up! This is a wonderful idea and a very fun craft. I worked at a summer camp where the kids got to create their own designs on small round mirrors and then we (the counselors) did the actual etching. I would like to warn you though that the etching cream is not something to mess around with and definitely not kid friendly. The glove I was wearing while doing the etching broke and exposed my finger to the acid. We called poison control who gave a few recommendations for stopping the burn, but when they didn't work I ended up being sent to the ER and then put in the ICU for two days. Turns out the cream is made with hydroflouric (?) acid and screws up the calcium in your body and can cause your heart to stop. None of which is on the bottle. So please be very, very careful and wear your protective equipment. Then have fun! Emily, Thanks for the great advice! You're so right that we need to be extra careful with this stuff! So, most likely I can't work with a template on the inside of the bulb, but I could probably pre-cut the letter and stick it on the bulb for my template instead. Then apply the cream. What do you think? Any tips for working on a round ball surface? Libby, That's an awesome idea! etching on a rounded surface is a bit more tricky, but with practice (and a smaller monogram) I think you'll do great. Please send me pictures, I'd love to see what you come up with! Great tutorial! Thank you for sharing it. I'm your newest follower. Come and visit my blog. Thank You I book marked this one, I have wondered how to do it. A bookmark is the best compliment a blogger can get! So much inspiration here. I thank you from the bottom of my heart. Regarding the itching cream, is that corrosive? Thanks for taking this opportunity to discuss this, I feel strongly about this and I enjoy learning about this topic. I have found it enormously useful. I like the way of representation about the topic. Great stuff and great efforts.Thanks. Hello! You have a very nice blog! I invite you to visit my blog and / or follow you, hope you like it. we have a tendency to invite you to make to create an account with us, if you prefer, or search as a guest. etched glass Greetings and ... congratulations! Really great tutorial! I've seen these, and been wondering how to do them. That looks really beautiful! Good extra tips too, about Glass Etching. Wow. I am amazed on your custom imprinted drink-ware. It is durable and worth it to use. I enjoyed watching your video and I learned some stuff from your video. Thank you. Cool making of Etched Glass and the rest of glass etching tasks. Very creative. That is really incredible that this is doable right at home. I would have thought that those etchings would have to be sent away for. My wife is an arts and crafts hobbyist. I wonder if she would ever get into something like this? This is certainly a great idea for a wedding gift. We at Seaton Glass get too many orders for these kinds of gifts or wedding decorations. Your work looks meticulous!